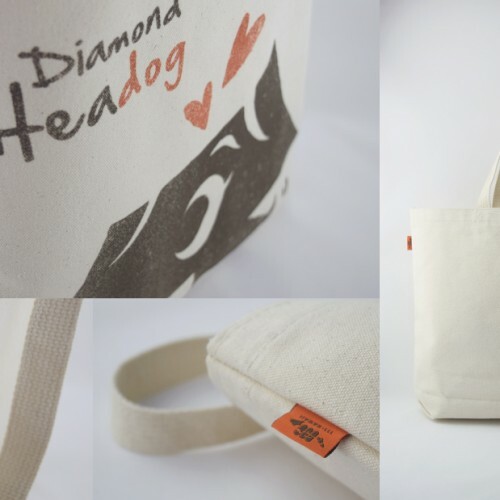 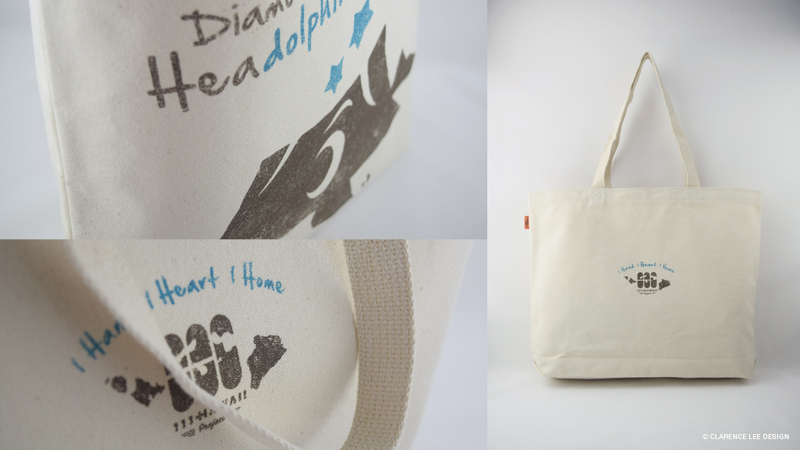 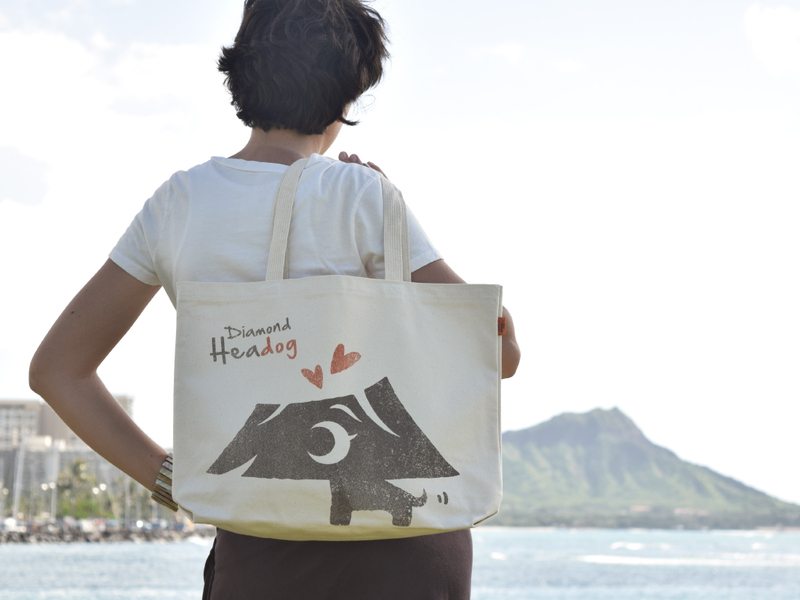 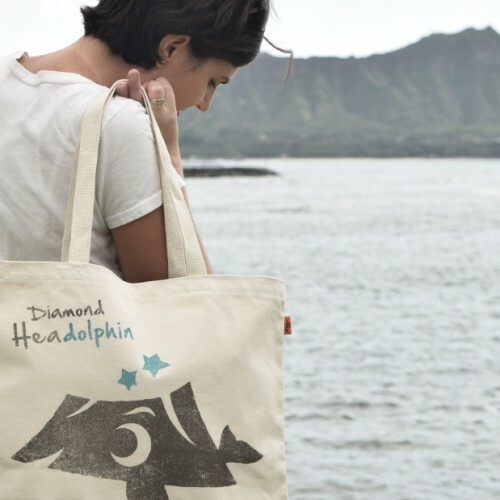 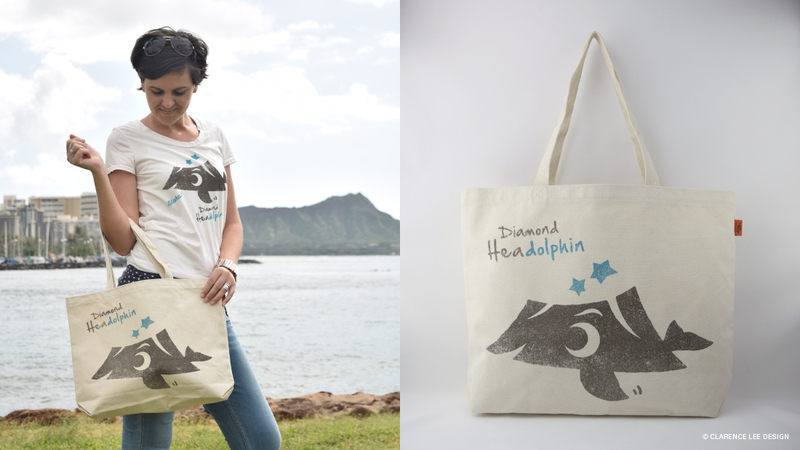 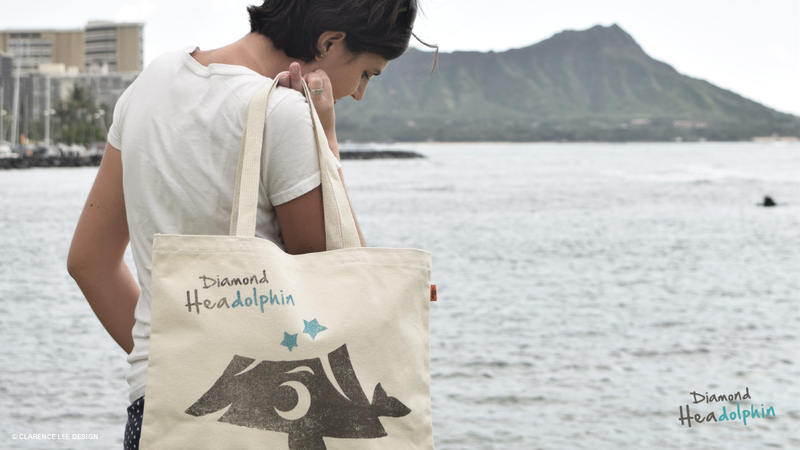 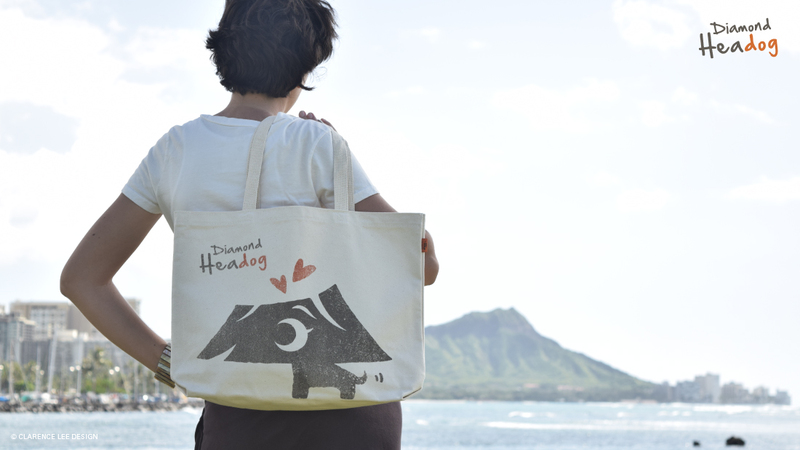 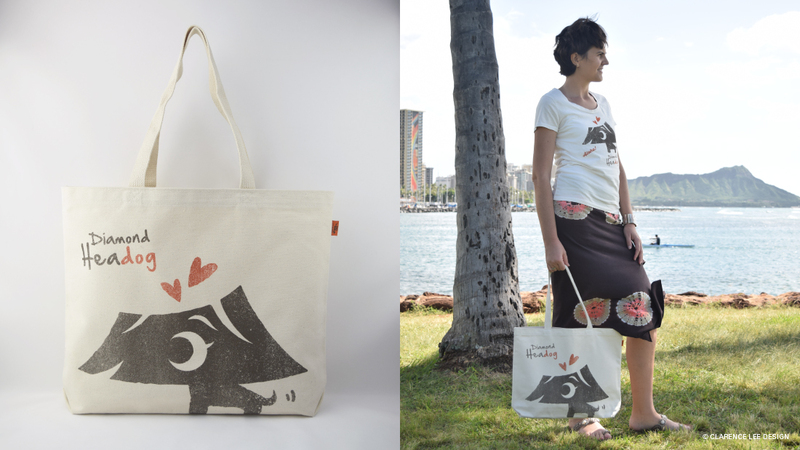 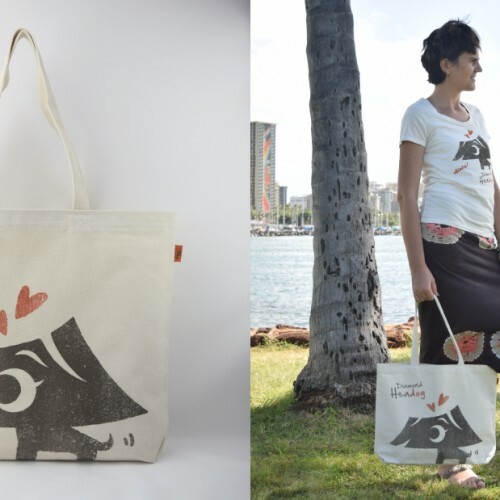 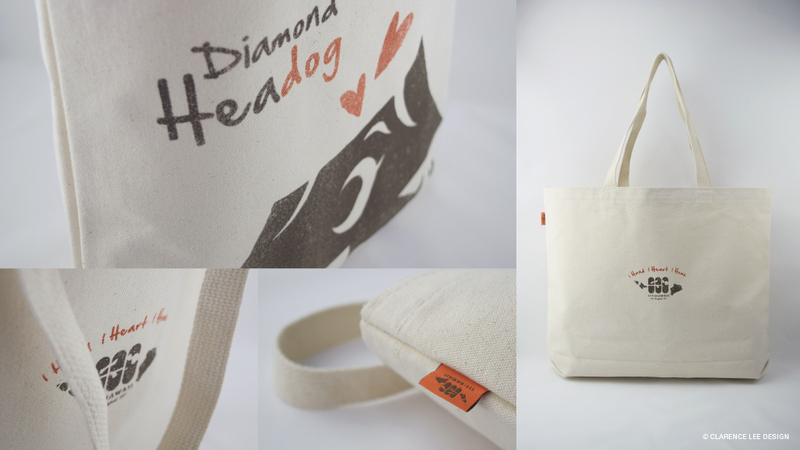 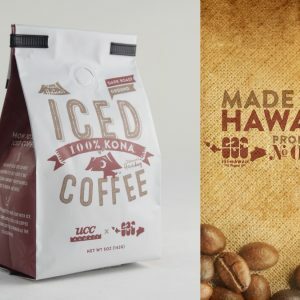 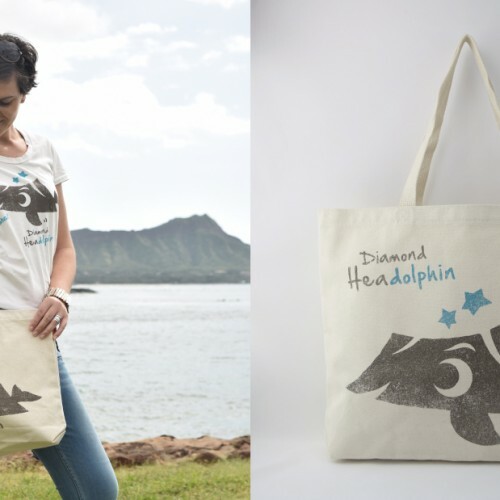 Large tote bag handprinted in Hawaii with our characters “Diamond Headog/Headolphin” finished in a vintage taste. 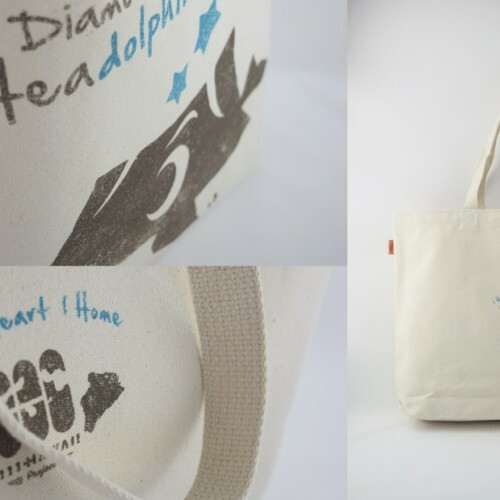 It comes in a bigger size that could hang over your shoulder. 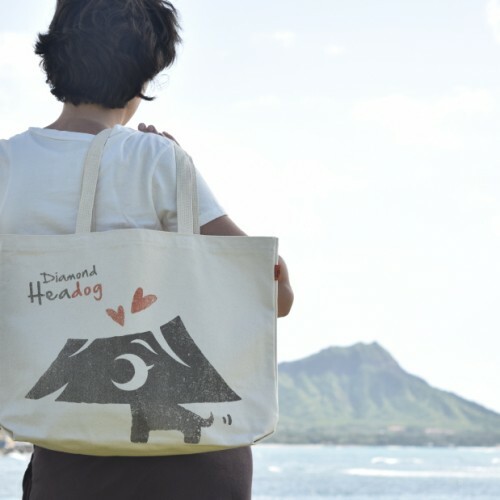 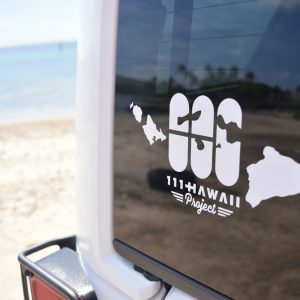 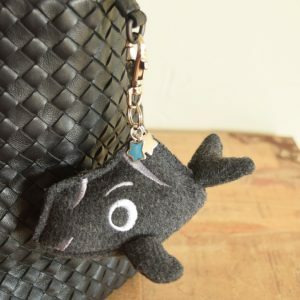 Great for beach or school, or a gift!